Half Moon Bay Hike: Gray Whale Cove State Beach is a 1-2 mile coastal hiking trail with scenic cliff & beach views of the Pacific Ocean. 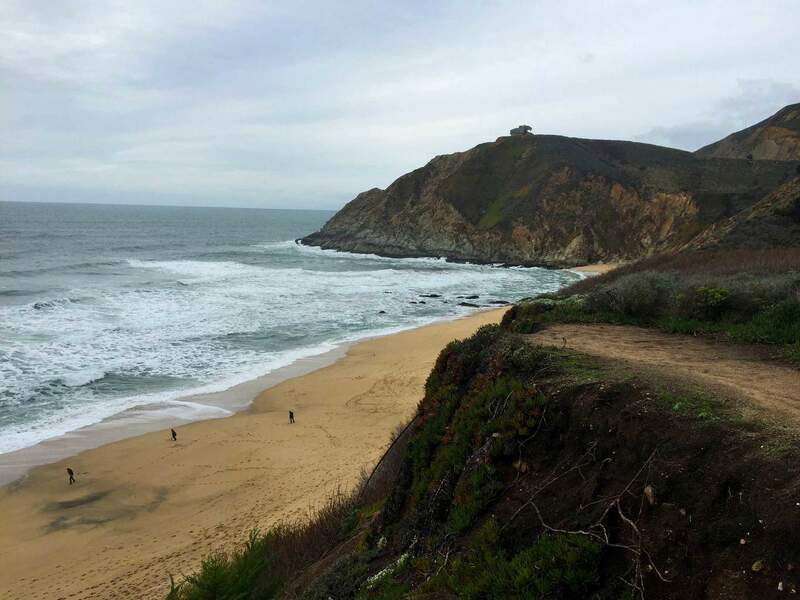 The trail is located about 15 minutes north of Half Moon Bay and is a spectacular resting spot for those enjoying a California road trip. On the east side of the highway, there is a small parking and no car parking is allowed along the Pacific Coast Highway. 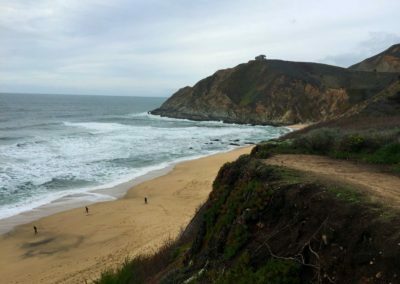 The trail starts across the street from the parking lot and goes down a steep hill towards a bluff that overlooks the beach. The bluff features a small small picnic area. 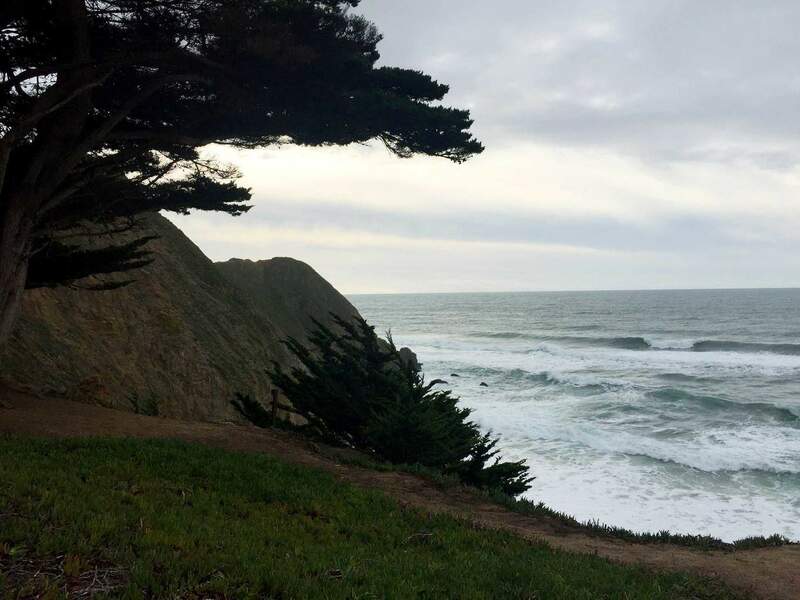 Throughout various times of the year, Gray Whales can be seen close to the shore. The hiking trails continues down the hill towards the beach. Depending on the time of year, shells and driftwood may be scattered throughout the beach. Please only look and do not remove these natural items from their habitat. 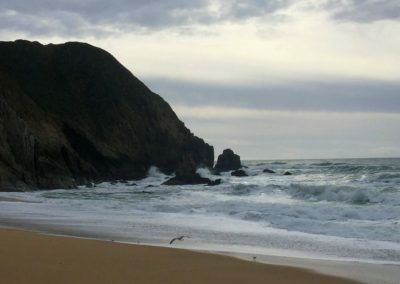 Gray Whale Cove State Beach is a romantic hiking trail and a short beach hike for those seeking a picturesque setting! Edun Beach is a clothing-optional beach located on the northern side of the beach. Depending on the year, Gray Whales can be spotted offshore. Year-Round: The Gray Whale Beach Trail is accessible year-round from 8:00AM – Sunset, but use cation is visiting during a rainy season. As the weather in Northern California can fluctuate, layered clothing is recommended. During the colder months, there are less tourists in the area. If you plan on visiting during the summer or desire a sunset photo, arrive early as parking is limited. 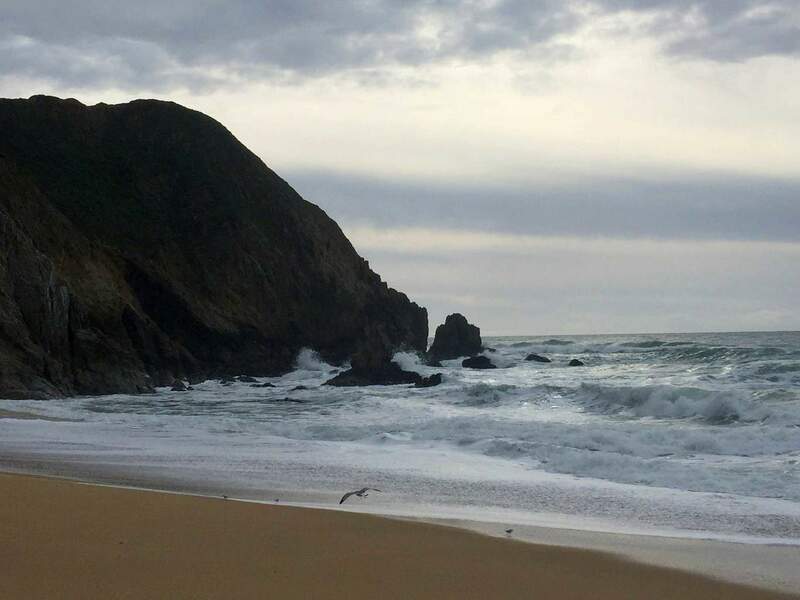 No, dogs are not permitted at Gray Whale Cove State Beach. Barry-the-Bear: Lucky B-E-A-R-Y! 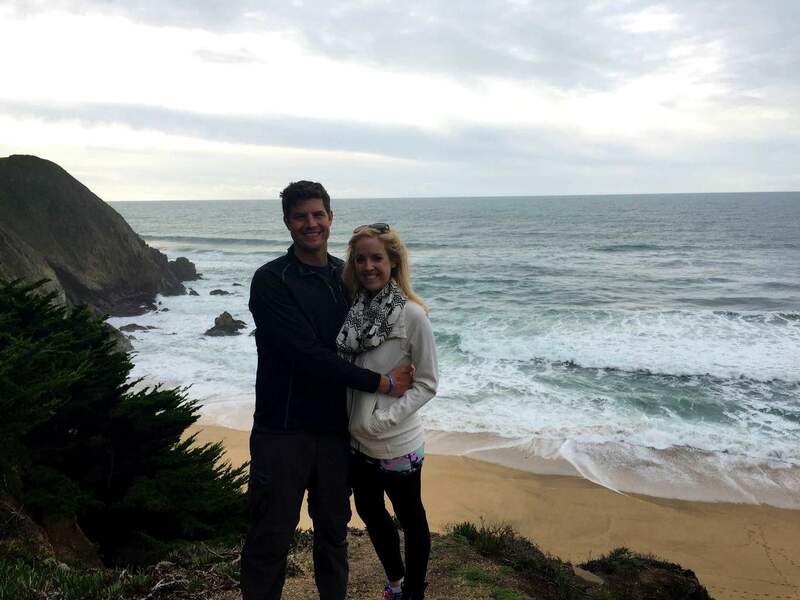 We enjoyed this beautiful overlook of Devil’s Slide and Pacific Ocean. We were even fortunate enough to see Gray Whales swimming a close distance offshore. Larry-the-Lion: A very romantic hike for all of those lions seeking a magical experience with their family and cubs. Chris-the-Cheetah: Amazing views! 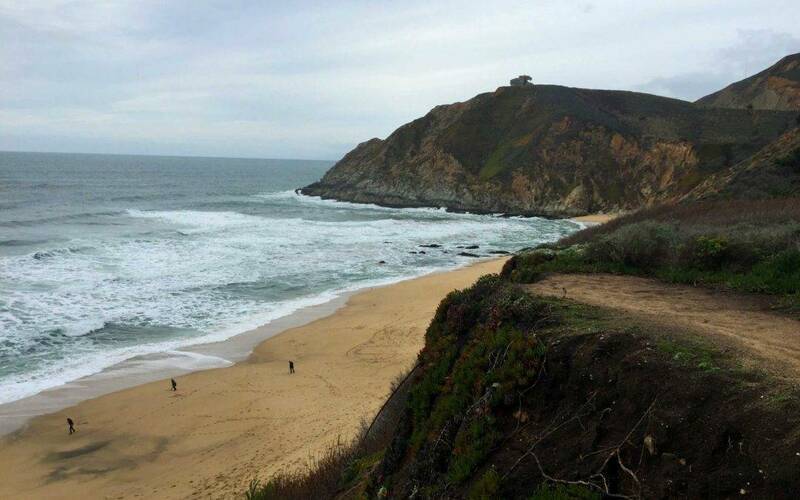 If you want to make this hike a workout, try running up and down the hill leading to the beach! I bet you can’t do more than 5! 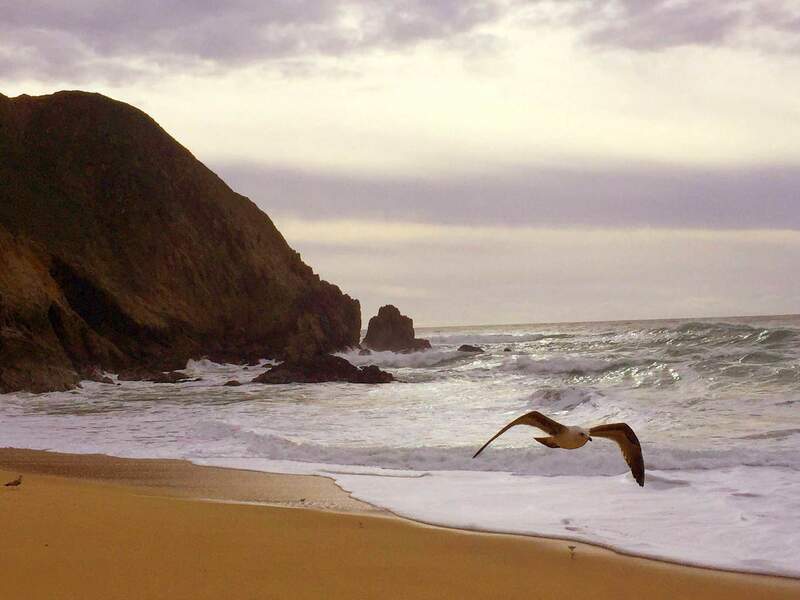 We naturally discovered Gray Whale State Beach as we were driving to Half Moon Bay. Although it was in early January, we were fortunate enough to still enjoy access to the trail and loved naturally finding this trail! In particular, we enjoyed the bluff’s scenic overlook of the area and venturing down to the coastline for a sandy walk and upfront experience with the Pacific Ocean. Overall, the trail is relatively short, but can be extended if you continue along the hill and hike towards McNee Ranch State Park. 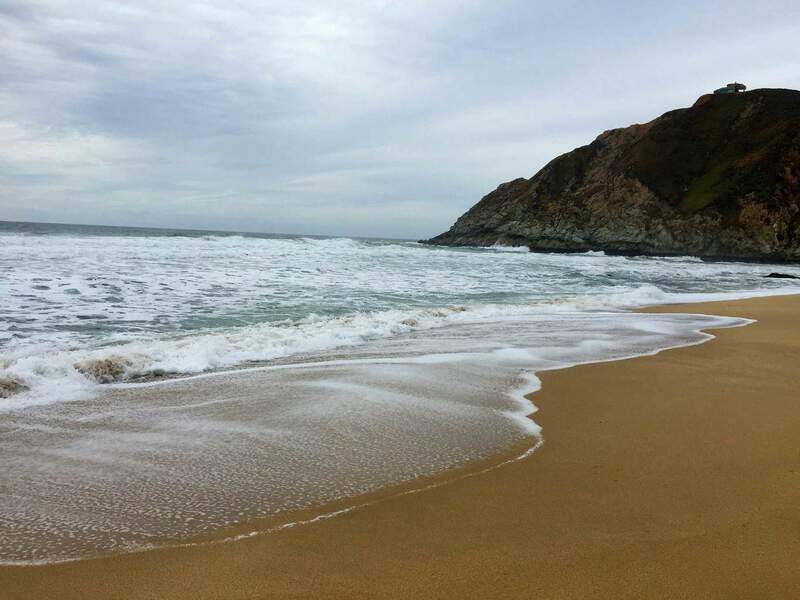 If you’re looking for a beach hike and to escape the development of suburban life, the Gray Whale Cove State Beach hike is for you!